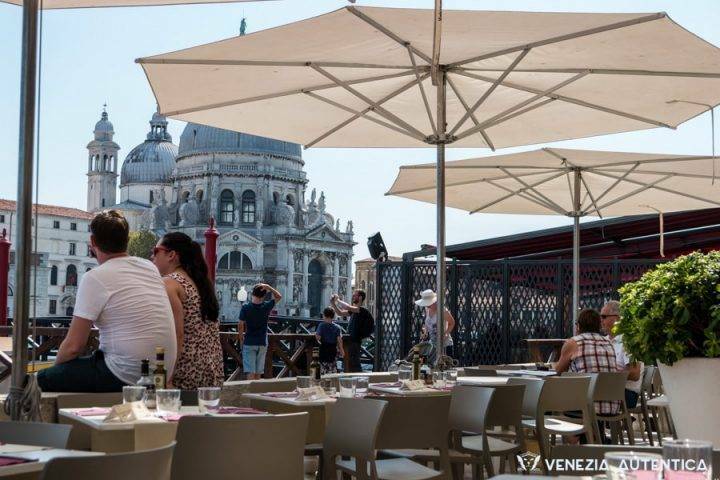 When looking for good restaurants in a new city we tend to search by criteria, one that in August sky rockets to the top of the list, is OUTDOOR SEATING. Now you may think just by walking around that the majority of restaurants, have an outdoor area. But all too often it is a sad looking table in the middle of a busy street where the waiters will forget about you. So in this post I have collected together my favourite restaurants for their al fresco dining areas. It is not exhaustive but it is a good start. Granitas are allowed for breakfast, picnics last for hours and sandals are almost too much clothing. Osteria alla frasca – this has always been one of my favourite restaurants for the memories that I have had here. But even just passing by I cant help smelling because the unexpectedness of this little countryside looking restaurant in the middle of is a back passageway. They have fantastic gnocchi and tuna fillets here, overall the service is lovely and the shade from the vines encourages you to stay here well after they want to close up. 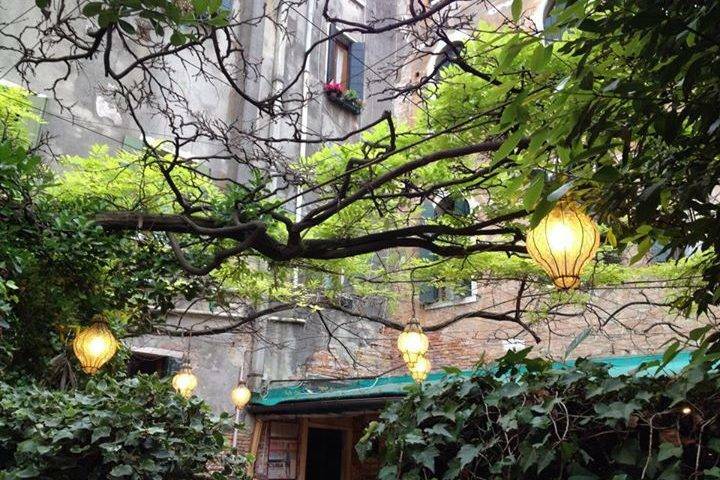 Caffe ai Crociferi- this is a hidden courtyard up by fondamenta nuova. Events and live music take place regularly during the evenings, but in the day it is a peaceful place to enjoy a salad or a sharing board. RAVIOLI FILLED WITH PUMPKIN FLOWERS – prawns and zucchini with seafood and basil broth. 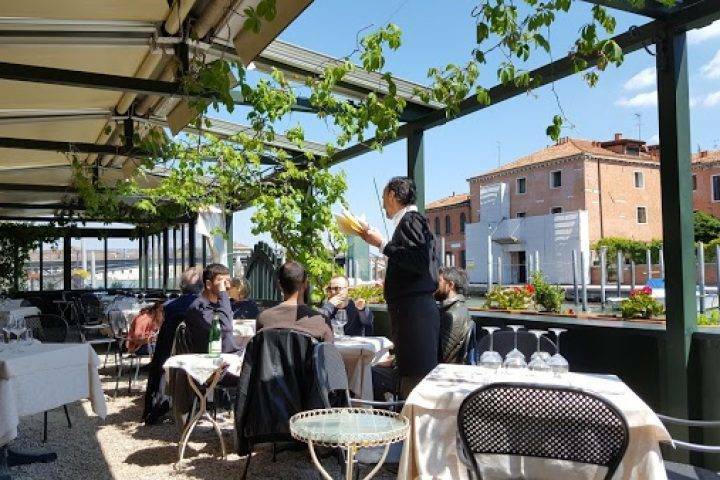 Trattoria Altanella– located on the guidecca. It is considered hidden even in this neck of the woods. On the menu you will find traditional food, in a extremely private and romantic location. It again something we would recommend for a special occasion but less fancy than the Danieli but equally as memorable. Ostaria da Rioba– Located on the beaten path, being Misericordia in this case. It is an extremely interesting restaurant offering modern takes on traditional recipes, one of the very best flavours for this heat is the Watermelon Gazpacho with Gamberi Rosso. 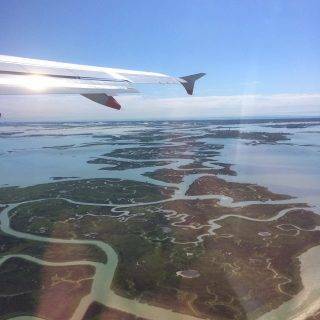 L’Ombra del Leone– the classic (well atleast for us) we as a Truly Venice Team are quite devoted to this place and for good reason. Come rain or shine we have never had a bad experience here. 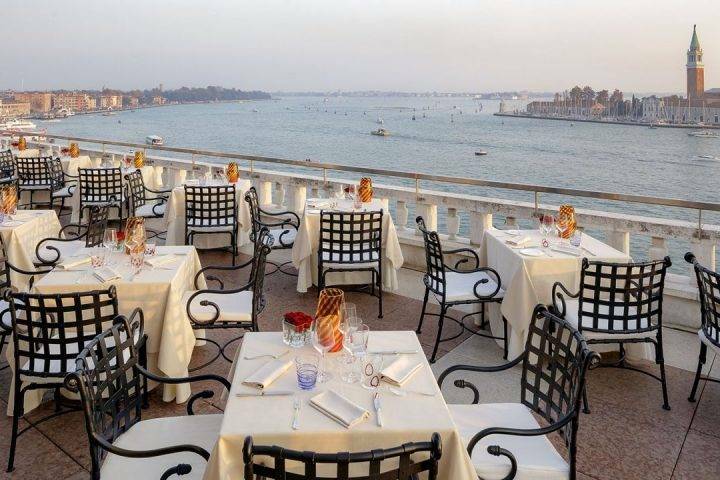 Particularly in the long evenings of summer, looking out over the Bacino di San Marco, everything seems quite perfect. 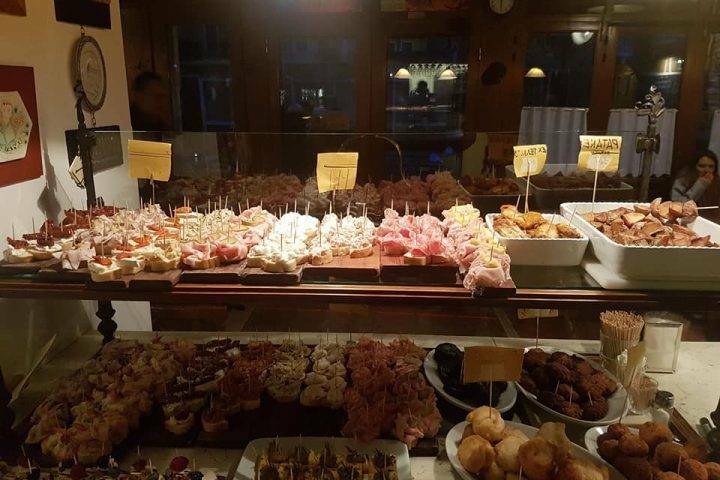 Osteria Nona Risorto– this traditional trattoria serving generous portions of Venetian dishes and pizzas is run by one of the kindest men in Venice, Claudio. My parents remember this place 25 years on, and although it is not celebrated in chefs guides as cutting edge cuisine, it is reliable, comforting, kid and dog friendly with a beautiful vine covered out door area. 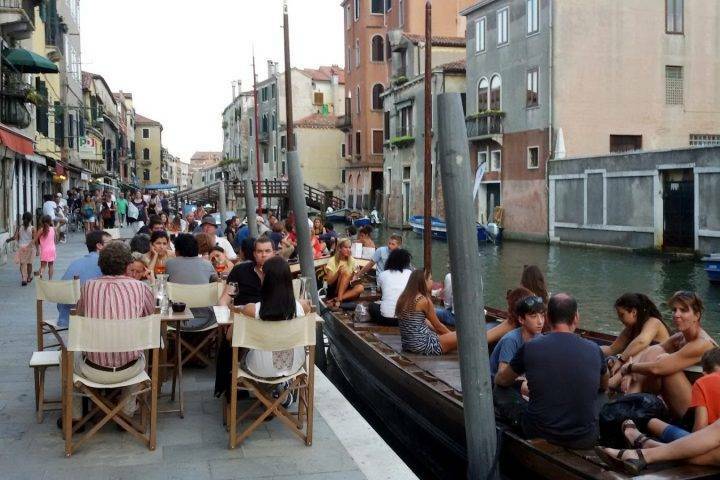 Al Timon, by now is one of the famous spots for grabbing a cicchetti in the open air. Positioned right outside, you are invited to take your glasses of wine and small morsels of flavour onto the traditional bragozzo. But ofcourse there is yet another option…your own private terrace with personal chef. You cannot beat a dinner party that keeps on going long into the night, without worrying about closing times, walking home or midnight cravings. 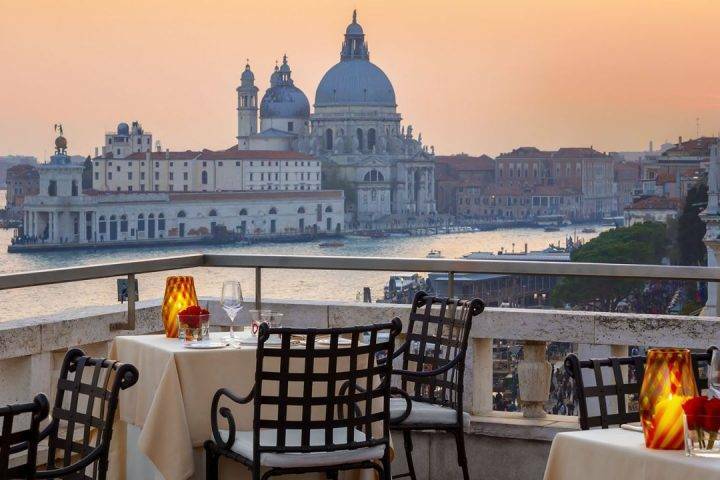 Many of our apartments have their own private terraces with views over the rooftops of Venice. Al fresco dining takes on a new meaning when you can relax under the stars, enjoying the pleasure of your own company and the delicious flavours of a menu you have chosen. Find out more about your Private dinner. Take a look at our collection of terrace apartments.